What Can We Do About Islam? Who is Ayad Jamal Al-Din? 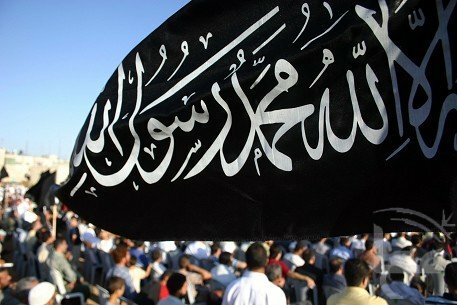 Is Jihad Preemptive or Defensive? Islam is one of the fastest growing politico-religious movements in the world. Islamic doctrine is determined by the Qur’ an, the Hadith and Sunna. Together these sources make up Shar’ ia. The Qur’ an purports to be the very words of Allah as given to his last prophet Mohammed. The Hadith is a collection of Mohammed’s sayings while the Sunna is a record of the Prophet’s life. All fundamental and valid Islamic interpretation takes into account each of these sources. The vast majority of these texts are consumed with the death of the kiffar or unbeliever. Islam purports to be a peaceful religion which is presently being attacked by Islamophobics who are afraid of the superior Islamic way of life. In fact, Islam’s religious aspect masks its darker theological and political side. Islam is a political movement which is consumed with a hatred of the West and a love of violent death. Of course this view is politically incorrect but so is this website. The West cannot afford to make the same mistake that Chamberlin made with the Germans. There is no peace in our time as long as Islamo-fascism remains a threat to the Western world. Today the French, Germans and British have made the same mistake in dealing with Islam that Chamberlin did with Hitler. The West is in a war for her survival for all Islam has but one goal and that is to dominate the world politically and religiously. Islam uses two tools to achieve the goal of Islamic supremacy. The two tools are Da’ wah and Jihad and the two work hand-in-glove. Da’wah is the call to Islam. The heart of Da’wah is Islamic monotheism. There are five forms of Jihad and the the form which concerns America is the jihad of the sword. 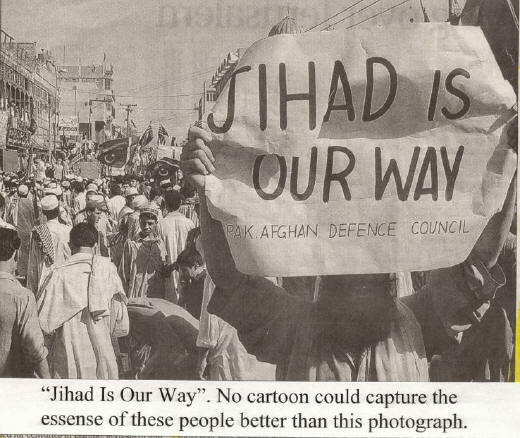 Jihadi groups are not shy in proclaiming Jihad is the way. It is important to realize that Jihad is not subject regulated merely to fighting or striving per se. 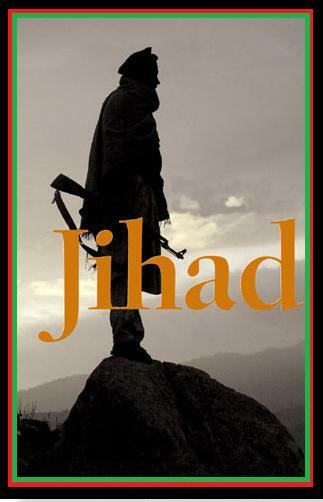 Jihad is a method whose use is based on certain moral principles and whose goal is to produce a political entity. So, in examining Jihad we will also examine the moral principles which guide its use like taqiyya, Shar’ ia, duty and shirk to name a few. In addition, we will also examine the Khilafah or Islamic state for which Jihadis strive. Jihad is essential in laying the ground work and for the State’s formation and Jihad is also essential to the State’s purpose of existence. 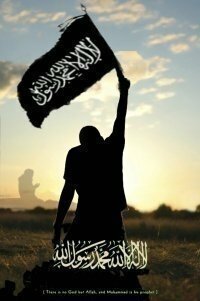 This website’s purpose is to educate Americans and the West about the true nature and use of Jihad and its extraordinary threat it poses to our Constitutional Republic. This threat is due specifically to the dark Islamic trinity (Qur’ an, Hadith and Sunna) and less due to America’s foreign policy in the Middle East. Shar’ ia compels the faithful Muslim to reach out to a world without Allah in only three possible ways. Once the Da’wah has been proclaimed the unbeliever can either fully convert, pay the jizya or die. Either way, Allah demands that Islam conqueror all religions until only the worship of Allah is left. Islam is not just a mere nuisance nor a religion looking for recruits but a systemic threat to America, the Declaration, Constitution and her way of life and Christianity itself. May God bless us in our attempt to save our society.